CCTV UAE offer variety of CCTV security products in UAE with features and options that can be used in various surveillance applications. CCTV cameras are used in a variety of circumstances to provide video surveillance. School use CCTV to monitor the activity on school campuses. CCTV is a great tool that to reduce the illegal activities and increase the employee productivity. Businesses use CCTV cameras to monitor the behavior of employees.It is important now to secure your business and homes with advanced security measures. Though varied options are available in the market, making it secure with the CCTV security is much beneficial. As a top CCTV Distributer in Dubai ,CCTV UAE take your surveillance in a better way. 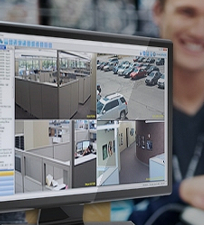 We help you to design cost-effective security solutions IP cameras and Analog cameras. We offer CCTV Security products with best cctv camera dubai price. Our product portfolio include Samsung cctv camera dubai, Dahua CCTV Dubai, Hikvision CCTV Dubai, Axis CCTV Camera Dubai, Bosch CCTV Camera Dubai, Vivotech CCTV Dubai and CpPLUS cctv Dubai. CCTV UAE With well-established infrastructure and specialized experience, our reputation stands on solid foundations right from carrying initial Surveys, Design, Engineering, Supply, Installation, Testing & Commissioning of various kinds of CCTV Security Systems. 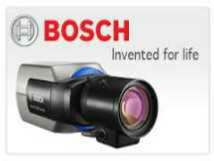 We make available world's leading CCTV Products with latest technologies and Quality. It enables us to produce tailored cctv security systems for all purposes like home cctv system , office cctv system , ware house cctv cctv system, hospital cctv system, school cctv system and construction site cctv system. CCTV Security Systems provides realistic deterrent against internal and external theft, fighting fraud and providing vital recorded evidence for authorities as well as internal enquiries.. Many large and small companies in UAE, Busy street stores and property developers choose CCTV UAE regularly for their CCTV surveillance for their premise. CCTV Security Systems installations are the perfect solution to monitoring both your home, business and valuables, both internally and externally. 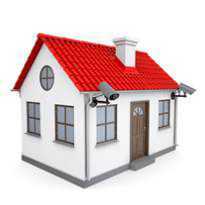 CCTV Systems guarantee to capture every moment and offer high level of virtual security . As a top CCTV Supplier and CCTV Distributer in Dubai we can provide a dedicated CCTV Product Supply channel as well as CCTV System Installation to suite any property and budget. As a leading CCTV Distributor in Dubai, UAE we carry many CCTV Security brands to choose from.Choose cctv products from Samsung, Axis, Hikvision, Bosch,Vivotek, Dahua , Grandstream, Hikvision and CpPlus. We supply CCTV Security products for home, business and government. We sell CCTV Products to end users, resellers, and installers in UAE.We as a Team strive to provide bottom cctv prices ,best CCTV support and Customer service in Dubai, UAE. Axis CCTV Dubai offers the high tech security camera system to its users that can be called entirely stand alone system. Some important features and qualities are given as under. 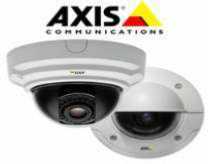 When you opt for Axis CCTV You can enjoy the wonderful options features ,functionality and performance.Axis offer extremely innovative devices that are expert in performing different tasks at the same time. As a Axis distributer in UAE we offer best cctv price among other cctv companies in UAE. Being a leading Hikvision Distributer in UAE we have the right systems and solutions for your ever-expanding business. Hikvision CCTV cameras are known for its advanced features and functionalities. With the ability to deliver high quality images under varied weather and lighting conditions, hikvision security products are a great bet for your business.Different types of Hikvision CCTV products include IP Cameras, Analog cameras, Thermal Cameras, Box Cameras and PTZ CCTV Cameras.